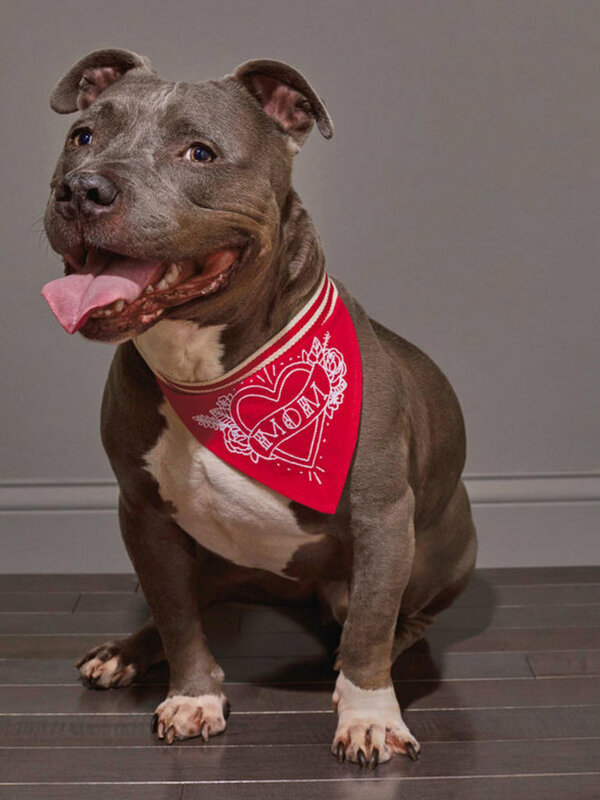 We all know who your dog's favorite human is... 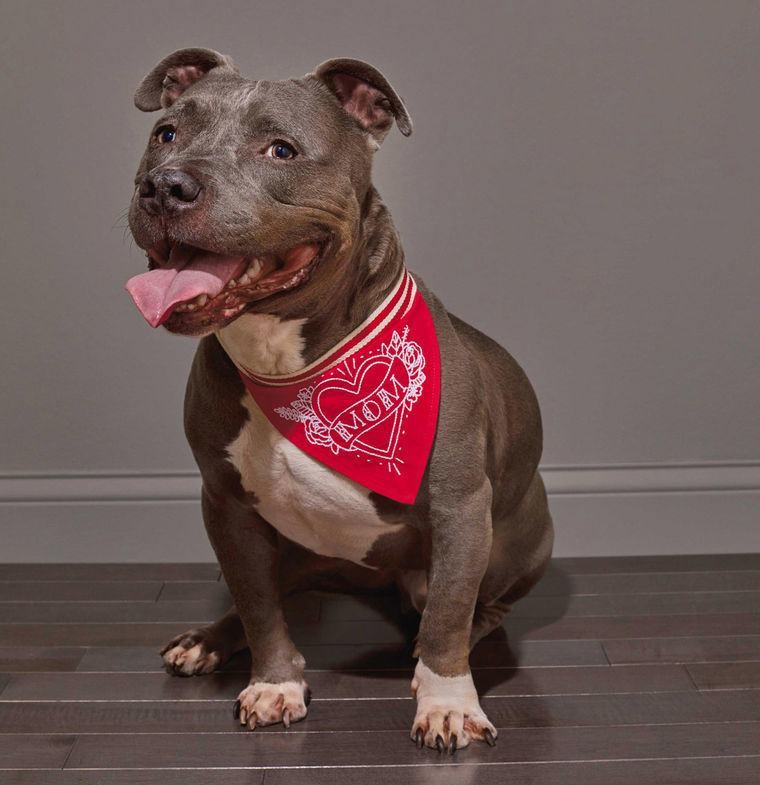 This all-cotton dog bandana is red with white accents. 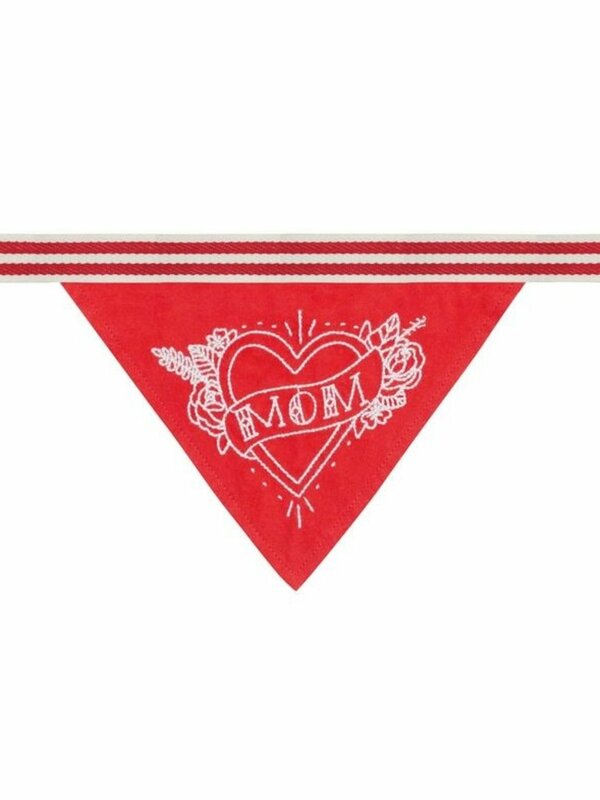 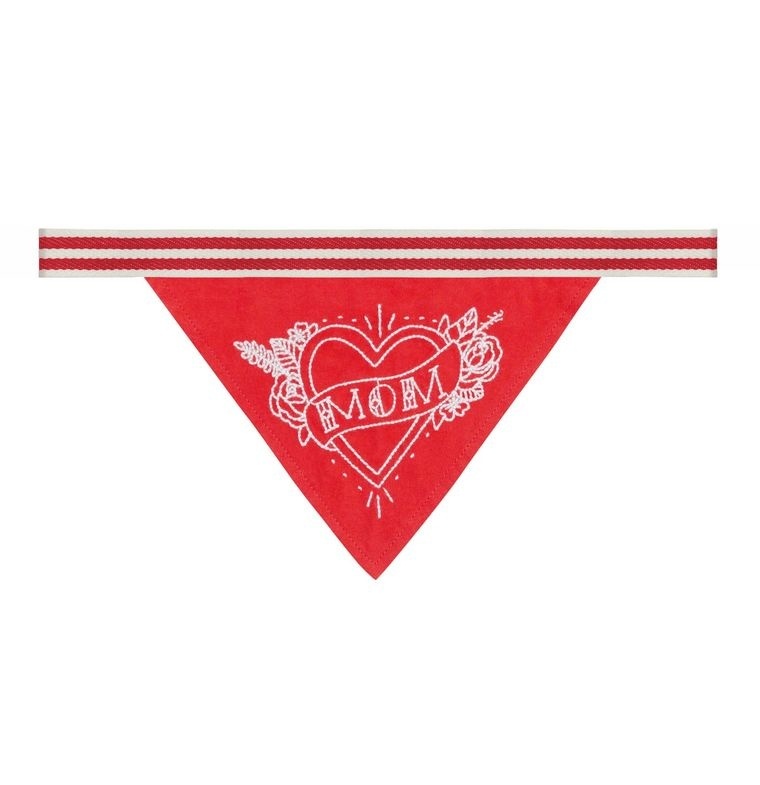 A "tattoo" heart with the word MOM is embroidered in white.